We all know that breastfeeding has many nutritional benefits to mom and baby. What we don’t always know is that sometimes breastfeeding your baby does not always happen so easily. Some moms and babies have a rough start. Some run into problems a few days in. Some struggle for weeks. We all deserve help, and a lactation professional is a go-to expert in these matters. Here are 5 questions you can ask to help you find the right lactation consultant for your situation. 1. Are you an IBCLC? After finding out if she is an IBCLC, this should be your next question. Location is a key factor in deciding who to use. There is no point in connecting with someone who lives too far from you. Traveling long distances with a new baby can be quite tiring. If you had a difficult birth and cannot travel or do not want to travel, you will want to find an IBCLC that offers home visits. 3. What happens during the consult? You can ask what is covered during your lactation consult. A comprehensive consultation should cover an assessment of you and your babies anatomy. Your IBCLC should be using a scale during consults, weigh your baby before and after a feeding, observe a full feeding, make suggestions towards resolving your challenges and provide you with a care plan to refer to once you are home. 4. What is offered in terms of follow-up care? Most moms will need to be followed up and will want a method that works well for them. Be sure there are convenient ways for you to follow up with your IBCLC. Some IBCLCs offer texting as a means of following up. If you are uncomfortable with this method because of a confidentiality concern, find out if phone calls or email is offered. Follow up is important as it allows you to provide feedback after the consult and continue to receive help until your problem is solved. Two weeks follow-up is the average time frame. 5. Do you know of anyone else who has used this IBCLC? Having a referral from a healthcare provider, friend or family member who has seen this IBCLC is always optimal. If this is not doable, checking out her website, what she offers. Testimonials are all helpful in your decision making. Having a short conversation on the phone will likely help you make the final decision if this person is right for you. Lori Jill Isenstadt, IBCLC is a huge breastfeeding supporter. She has spent much of her adult life working in the maternal health field. Once she became turned on to birth and became a childbirth educator, there was no stopping her love of working with families during their childbearing years. 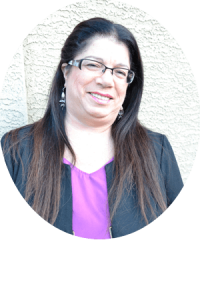 Lori became a Birth doula and a Postpartum doula and soon became a lactation consultant. She has been helping moms and babies with breastfeeding for over 25 years. Lori founded her private practice, All About Breastfeeding where she meets with moms one on one to help solve their breastfeeding challenges. She is an international speaker, book author and the host of the popular iTunes podcast, All About Breastfeeding, the place where the girls hang out. Lori is the proud owner of the online membership site – All About Mothering. You can reach Lori by email at: aabreastfeeding@hotmail.com or contact her via her website.